Liposuction is the removal of fat to restore proportionality to the body. It is not a treatment for weight loss or cellulite. It is often referred to as “lipoplasty” and “liposculpture”. The later being the preferred name for our doctor who performs liposuction, as an artist would sculpture. Her passion for liposculpture is in attempting to achieve maximum results for each individual patient, by carefully removing fat to create balance and harmony in both the male and female silhouette. 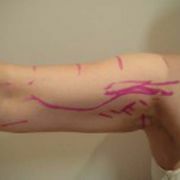 There are two main techniques for liposuction which are related to the anesthesia used. The first is performed under general anesthesia. In this procedure the patient is asleep and an anesthetist is needed to control breathing and bodily functions. This technique is often chosen when other cosmetic procedures are to be performed on that day such as tummy tuck or facelift. General anesthetics are themselves risky and many patients find it is months before they feel recovered from them. There is also a high risk of deep vein thrombosis as patients are not moving during the surgery. 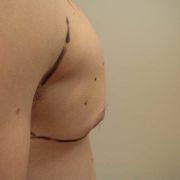 Liposuction results are often not maximized since muscle tone is flaccid and it’s harder to contour. The other technique is called “tumescent” liposuction. In this procedure a patient is awake and in no discomfort and thus the risks of general anaesthetics are avoided, so making it a safer surgery. In fact patients are often chatting happily to the nursing staff, listening to music or just chilling out. 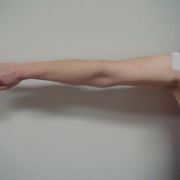 Patients are able to move on command to help the doctor get the best result for that patient as muscle tone is present. The local anesthetic consists of a bag of saline with lignocaine to numb the area, adrenaline to reduce bleeding and bruising and bicarbonate to prevent the sting of the lignocaine. 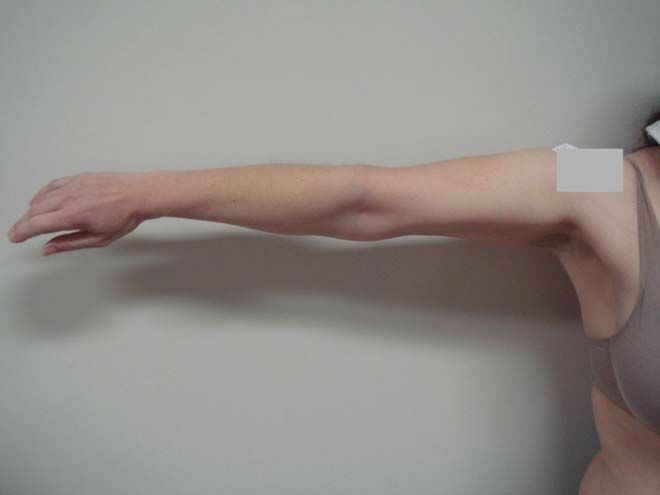 This combination also helps to lift the fat of the muscle wall making it more accessible for removal and reducing the risk of any severe complications. Since patients are mobile during the procedure the risk of DVT is dramatically reduced and patients are back to normal daily activities faster. Perth Liposuction Centre opts for the tumescent technique for all the advantages described. Machines, such as Vaser (ultrasound) and vibrational devices, can be added to the procedure but at an additional cost to the patient. These machines claim improved results and lower downtimes for patients, but in reality this is not always true. In fact, adding a machine just adds another variable that has additional risks. Liposuction results ultimately depend upon the original condition of the skin, the amount of fat removed and the experience of the surgeon. 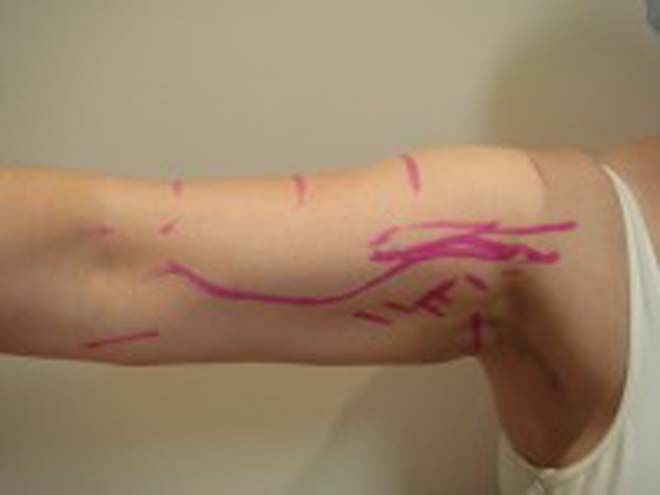 Patients are encouraged to ask questions and see unedited photographs of the doctor's work before making a decision to proceed. What is abdominoplasty, or “tummy tuck"? Abdominoplasty, or “tummy tuck” is a procedure that involves cutting away of loose skin and tightening the abdominal muscles (although some patients may only require skin removal). During pregnancy, or when a patient has been quite over weight, the skin becomes stretched and sometimes the abdominal muscle tears. 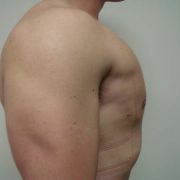 If it does not shrink back significantly then the patient may be left with a protruding belly with layers of skin. 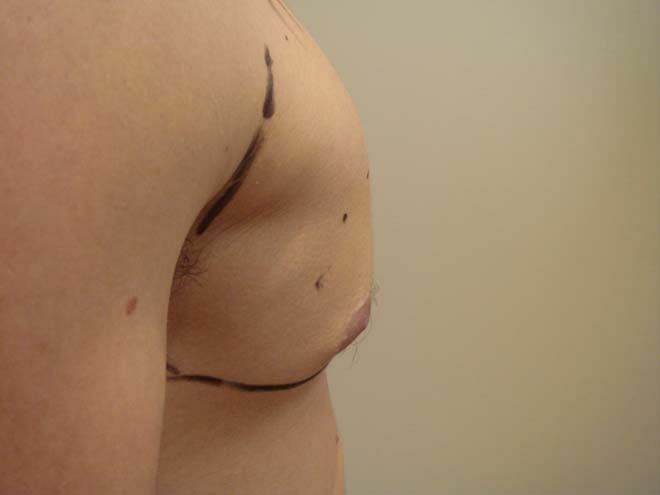 This protrusion can worsen with age, or if a patient regains weight, as the internal fat around the organs push out the weakened abdominal wall. To get a flat belly then the only option is abdominoplasty which is often combined with some liposuction to improve the overall shape. Abdominoplasty, however, requires a "plastic surgeon" and must be done in a major hospital as it contains significant risks, 6 weeks of healing and results in a large scar that runs from hip bone to hip bone. Many patients do not want to undergo the risks, healing or additional costs. Liposuction can provide an alternative to tummy tuck in some cases, especially if there is good skin elasticity and the abdominal muscle has not been too damaged. An experienced liposuction doctor will be able to make that assessment for you and provide a realistic outcome. Liposuction is not limited to a patient’s size or weight, as it is about removing fat that is out of proportion with its surrounding tissue. This unwanted fat often makes us feel uncomfortable in clothes, or prevents us buying a certain style of clothing. It can also frustrate us when we work out hard at the gym and can’t budge it. It might to surprise you to know that our patients include regular mums and dads, elite athletes and regular exercisers. Most patients are suitable for liposuction provided there are no severe medical conditions present. Our doctor makes a thorough assessment of patient suitability and advises on realistic results during the consultation process. Safety is always our priority. Where can the fat be removed from? Fat can be removed from anywhere in the body. The common areas liposuctioned include the upper and lower abdomen, hips, outer and inner thighs, chin/neck, arms, male and female chest, ankles, calves and the back. The fact is that the only way to remove stubborn fat is to physically take it out. The solution is thus instant and permanent as the removed fat cells are no longer present to increase in size. Not all fat can be removed from an area, as some fat is needed for body insulation to keep us warm in winter, for the final skin result and also to maintain overall body proportions. 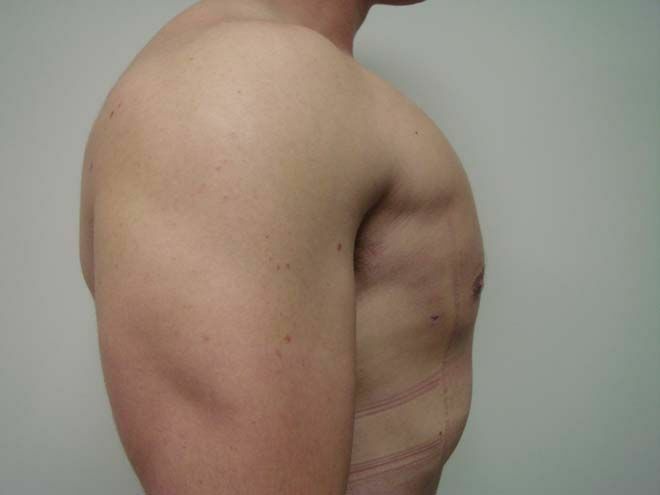 If a patient puts on excess weight after liposuction (usually 7 to 10kg or above) the residual fat cells may divide. The liposuction result will stay the same, i.e. the proportionality correction, but the body will put on weight all over. It is thus recommended that patients maintain their weight after the procedure within 7 to 10kg. And no, fat does not preferentially go onto other areas that were not treated. Liposuction is s medical procedure and runs risks like all surgical treatments. However, tumescent liposuction is considered one of the safest cosmetic surgical procedures performed. There are hundreds of studies on safety in tumescent liposuction and even our doctor has been published on the subject in medical journals. Our consultation process is comprehensive and detailed and will address all the risks involved and assess your suitability for the treatment. Results are instantaneous since the fat is physically removed with patients often commenting in the theatre about the difference. Over the following few hours to days, swelling occurs and this temporarily obscures the results. This swelling settles over the following few weeks to reveal around 75% of the result by week 4 to 6 (weeks 6 to 8 for chins/necks and ankles). The great thing is that the result continues to improve for up to a year as skin tightens and microscopic swelling resolves. In the meantime life goes on and normal activities continue. What is the post operative care? Postoperative care is simple and mainly consists of wearing a very discrete and comfortable garment. The garments are important for achieving maximal results and reducing side effects. They are made of state of the art fabrics that allow compression and breathability. These garments are usually worn for 4 to 6 weeks, depending upon the area of fat removed and 7 days where faces/necks are treated. Patients can engage in normal daily activities including meeting their friends for coffee the next day if they are inclined. Walking is encouraged and full gym activity resumes within 7 to 14 days for most people. When choosing your doctor remember that picking one who is in your State means that if you have any complications or even just concerns that you have fast access to the operating surgeon. This can not occur if the operation is performed overseas or by an interstate doctor who is flying around the country. Liposuction is a surgical procedure and good aftercare goes beyond the first 24hrs. This is why our doctor has opted to work only in WA despite regularly being invited interstate to perform cases. It's so she can provide personal and exceptional after care to all her patients. Consider an no obligation consultation and see the difference that a personal touch makes to the success of your surgery. Depending upon the number of areas treated most patients return to work within 3 days to a week. Since the new state of the art garments are discrete and comfortable this no longer plays a factor in the return to work. Liposuction is standardly charged per area. The amount of which is determined by the experience of the doctor and their staff, the standard of the facility and general running costs. Additional costs usually include theatre fee, anesthetist fee (if general anesthetic is used), garments, pharmaceuticals, follow-up consultations. At Perth Liposuction Centre the quote we provide is all inclusive of theatre fees, the procedure fee and a garment fee. All follow-up consultations and standard post-operative medications are included. There are no hidden additional costs.